KAMPALA – Two senior officials of Arua Municipal Council have today been charged of abusing their offices in leading to diversion of more than Shs400 million. 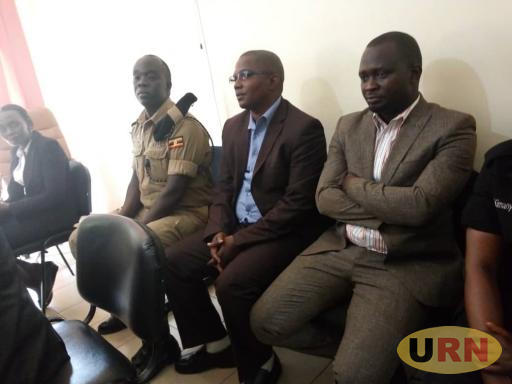 The two, Mr Jamirlu Kasajja Kairu 47, town clerk and Mr Rajab Kamil Erejo, 40, Principal Treasurer at Arua Municipal Council appeared before Grade One Magistrate Moses Nabende at the Anti-Corruption court to have their charges officially read to them. The suspects have, however, denied charges of alleged abuse of office, diversion of public resources and conspiracy to defraud against them. Court has granted them a cash bail of ShsShs35m each while their Shs500m not cash after finding the sureties substantial. They were also ordered to deposit their passports in court to regulate their travels. The state alleges that during the financial year 2017/2018 at Arua Municipality in Arua District, in abuse of the authority of their respective offices, Mr Kairu and Mr Erejo did an arbitrary act prejudicial to the interest of their employer when they processed and converted Shs436,477,000 meant for road works to pay individual officers’ allowances. It is alleged that the two suspects who were arrested on Wednesday last week, conspired to divert the said monies. These two become the second victims of the newly created State House anti-corruption unit led by Lt Col Edith Nakalema tasked to supplement the Inspectorate of Government in the fight against corruption. The duo was arrested Nakalema’s task force during a fact-finding mission to Arua Municipality in the West Nile Sub-Region following reports of misappropriation of road funds by the officials. The case has been adjourned to March 7 for mention upon the state submission that investigations were still ongoing. According to a State House statement issued on Friday last week, the Statehouse team discovered that over Shs400m that was meant for the construction of the Mango, Staff Lane and Afra roads’ network had been diverted for other activities in the Municipality.